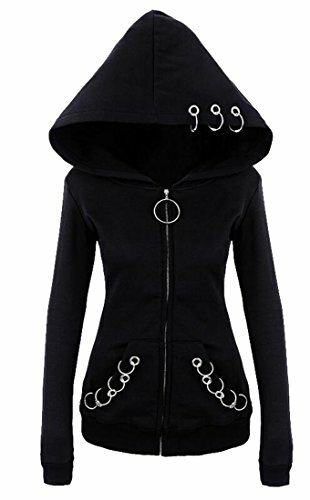 Material: Cotton, Flax Design features: Irregular hoodies Coats,Punk Gothic Girls Street style,Purple hooded, V-neck, Printed, Splicing, dark black. 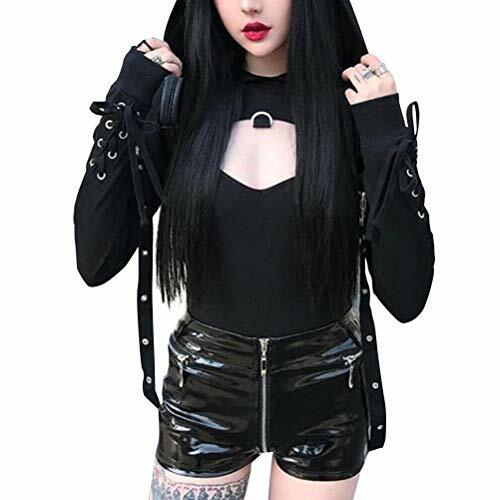 Plus size: S bust 36.2" M bust 37.8" L bust 39.4" XL bust 40.9" 2XL bust 42.5"
Material: Cotton, Polyester Design features: silver metal round buckle, rivet hoodies,street style,hooded, off shoulder,hole, splicing, irregular, dark black. 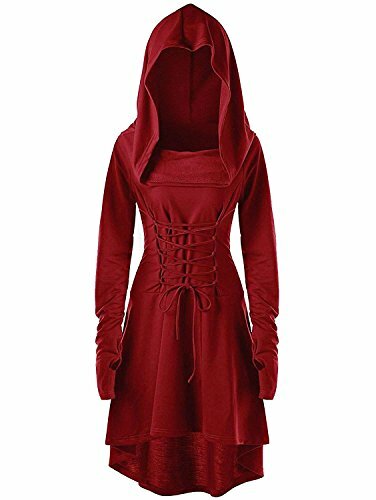 Size: S:bust 31.5" M: bust 33.0" L: 34.6"
Material: Polyester, Spandex This Midi Dress Featuring High Low Hem, Draped Collar, Lace Up Front and Back, Oversized Hoodie, and Long Sleeves with Thumb Hole. 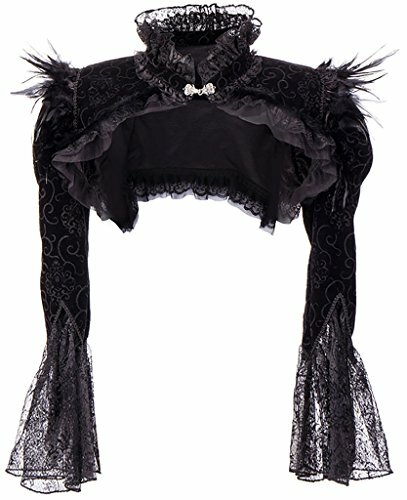 Fashion and Gothic Style, Combined with the Solid Color Also Shows A Romantic Feeling. 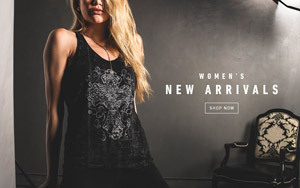 ❤Welcome to TWGONE - Which is a boutique clothing store devoted to adult's . 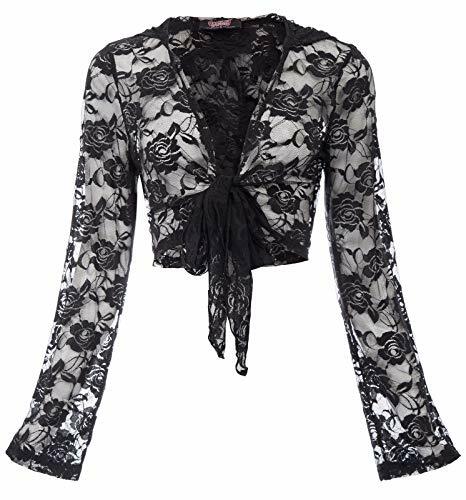 For more styles of clothes, please click on the store name(TWGONE ) above the title. !! !❤ATTENTION: Please check the size chart in Product Description(or picture) before buying.It is highly recommended to buy ONE SIZE LARGER. As the lapel size will be smaller than the size chart. 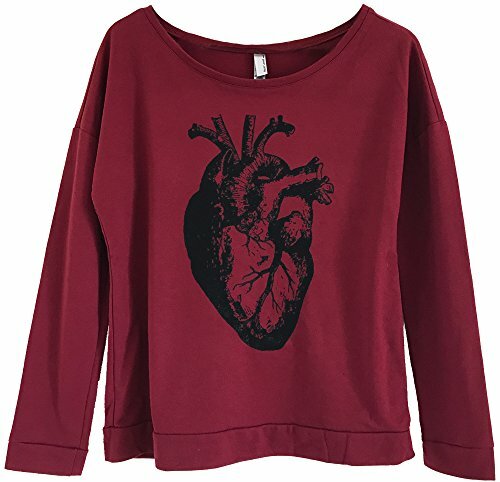 ❤Comfortable material, fashion design, perfect Match with your favorite shorts, leggings, black slacks, denim jeans. 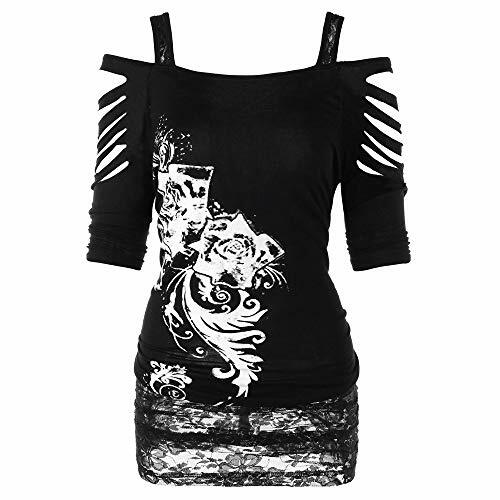 Suitable for a variety of occasions. 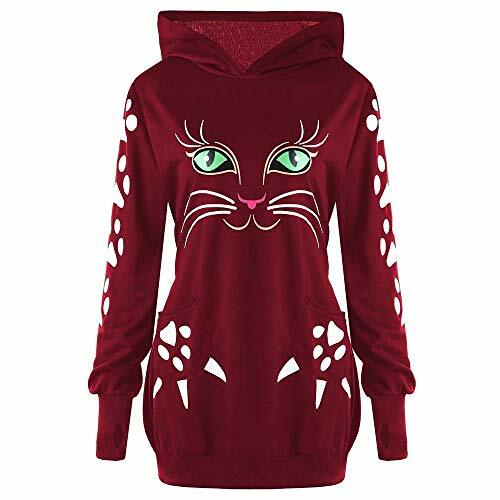 Material: Cotton,Polyester.Breathable and comfortable to wear. 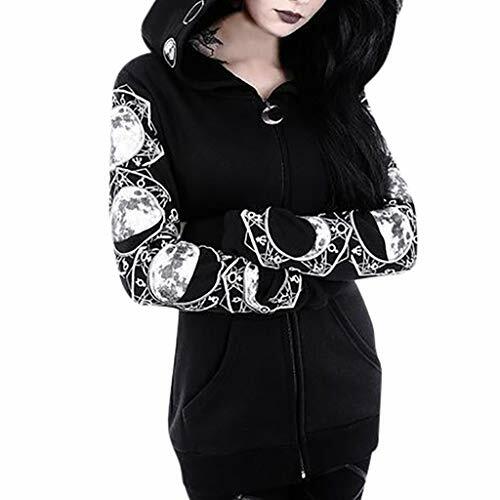 Design: Long sleeve, black solid color,letter print, moon graphic print,two side pockets,zipper closure. 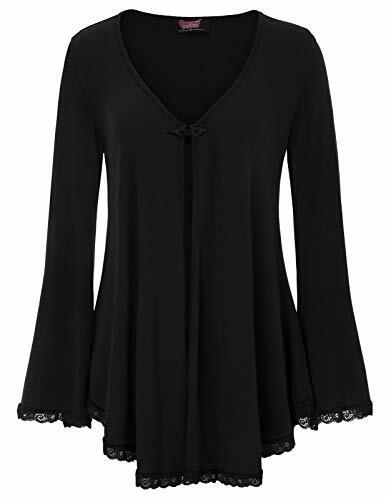 Occasion: Great for wear at home, street, travel, school,etc. 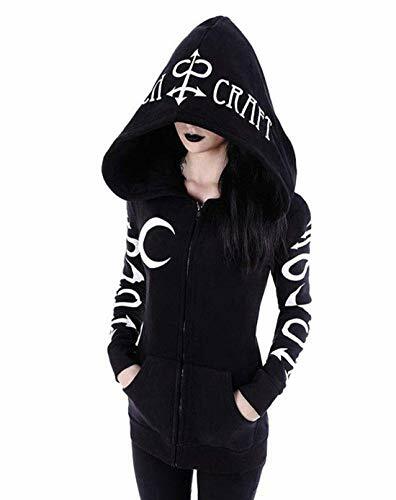 SIZE INFORMATION:S:Chest:98cm/38.58",Length: 62cm/24.4",Shoulder: 42cm/16.53";M:Chest:104cm/41.0",Length: 63cm/24.8",Shoulder: 43cm/16.92",;L:Chest:106cm/41.7",Length: 64cm/25.5",Shoulder: 44cm/17.3";XL:Chest:112cm/44",Length: 65cm/25.6",Shoulder: 45cm/17.7";2XL:Chest:116cm/45.66",Length: 67cm/26.4",Shoulder: 46cm/18.1";3XL:Chest:120cm/47.24",Length: 68cm/26.77",Shoulder: 47cm/18.5";4XL:Chest:124cm/48.81",Length: 70cm/27.6",Shoulder: 50cm/19.68"; MATERIAL: Oversized hood,Polyester, soft and comfortable to wear. 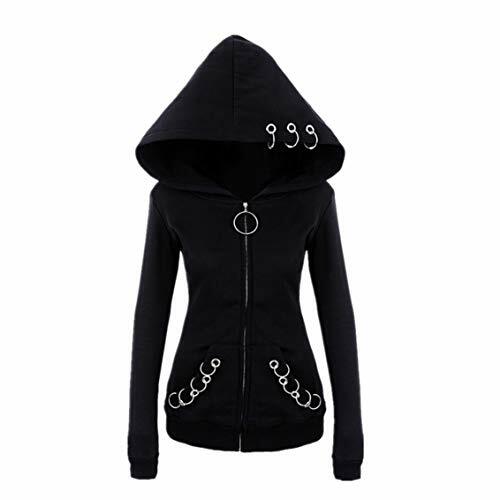 DESIGN: Zipper up, long sleeve, black solid color, o-ring decro.